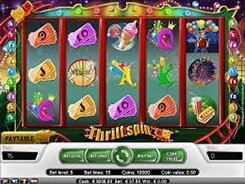 Thrill Spin is a 5-reel 15-payline slot themed around amusement parks. On the reels you will see ice cream cones, a Ferris wheel, carousel horses, admission tickets and other theme related icons. 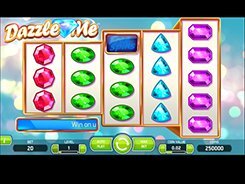 With colorful graphics and fairly simple gameplay, the slot features a wild, a scatter and a free spins round. A bet can be adjusted in a range from $0.02 to $37.5 per spin, making it very easy to pick a bet that is affordable to all players. A wild depicted by the Rollercoaster Rider acts as a substitute for other symbols except for scatters; besides, a wild doubles payouts when substituting. 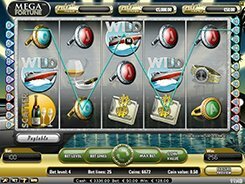 Hitting five wilds across an active payline awards the largest prize of x10,000 times a line bet (or $25,000 if playing at max). 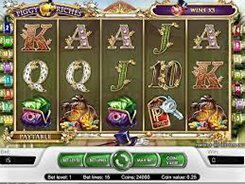 A scatter represented by the Balloon Seller unlocks 15 free spins with all payouts trebled if three or more of them land in any position on the reels. Besides, five scatters pay out the second-largest jackpot of $18,750.